Home Health What Is Hallopeau Syndrome? Hallopeau syndrome is a very rare disease that mainly affects middle-aged women with a history of smoking. It has no known cure. Hallopeau syndrome is a very rare pathology, although some think that it has actually been underdiagnosed. However, there are very few reported cases and most of them correspond to middle-aged women. The name Hallopeau syndrome pays homage to the French doctor François Henri Hallopeau, who made great contributions to dermatology. The description continuous acrodermatitis is his, and important contributions in the study of leprosy, cutaneous tuberculosis, etc. Hallopeau syndrome was reported for the first time in 1888 by Radcliffe-Crocker. However, it was not until 1890 that Hallopeau described the disease more specifically, which in the beginning was called continuous suppurative acrodermatitis. The disease alters the structure of the skin and nails, with the presence of blisters and pus without bacteria. 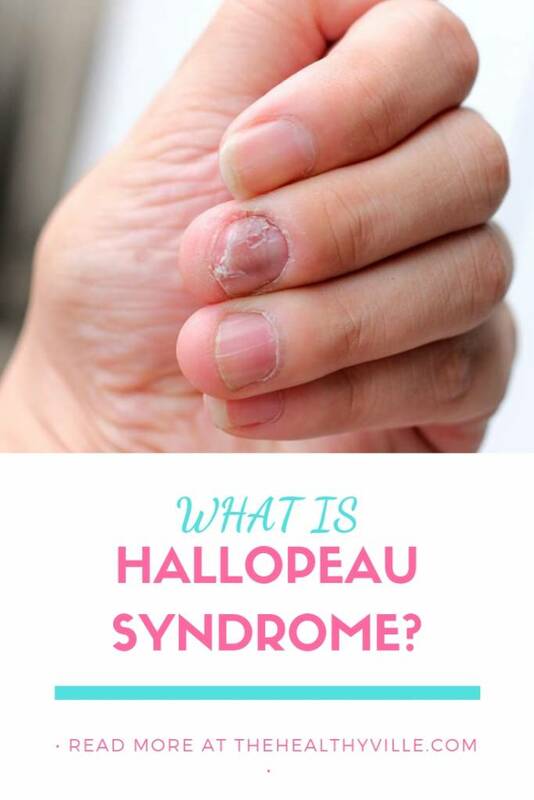 Hallopeau syndrome is a chronic inflammatory disease that affects the fingers and toes. It is also known as acropustulosis, pustular acrodermatitis, acrodermatitis perstans or dermatitis repens. The main characteristic of this disease is the appearance of rashes with sterile pus. In principle, they affect only the tips of the fingers, but tend to expand little by little to the entire local area. In chronic cases, and after a good amount of time, it is usual that the eruptions give rise to incapacitating injuries. Mainly atrophy, onychodystrophy and osteolysis. All these generate permanent damage. Typically, the disease begins at the tips of the fingers. Rarely appears first on the feet. The first thing that appears are small pustules, which join and form lakes of pus. This pus does not contain bacteria, and is sterile. When the pustules break they leave the skin red and shiny. In the area new pustules are born. When they form under the nail bed, it is common that it results in the loss of the plaque or onychodystrophy, a significant alteration of the surface of the nail. The lesions vary according to the stage of the disease. In acute episodes, pustules have the behavior described, with a tendency to spread to nearby areas. In the chronic stage it is possible that there is a total destruction of the nail matrix, which leads to the loss of it, or anonychia. Likewise, the skin atrophies severely. An inflammation of the phalanges or osteitis occurs and then this leads to osteolysis, or destruction of the bone tissue. Many times this ends up compromising the joints. The disease can spread to cover the back of the forearm or foot. An analysis of the purulent content is the usual technique to diagnose the Hallopeau syndrome. Science does not know the reasons why Hallopeau syndrome occurs. However, there is currently some consensus that this disease is a localized clinical form of pustular psoriasis. The latter is a serious complication of typical psoriasis. Hallopeau syndrome is an autoimmune disorder, characterized by an immune dysregulation that is located in the skin. However, it is known that the majority of cases occur in middle-aged women with a history of smoking. It is also common to start with an infection or trauma. The diagnosis of Hallopeau syndrome is clinical and histopathological. The first thing to establish is whether the pustules are sterile. For this, generally, doctors carry out a a culture, although in some occasions it is necessary to practice a biopsy. From the histopathological point of view, the main feature is the pustule, occupied by neutrophils. There is no epidermal necrosis, nor spongiosis. It is usual to have a moderate lymphohistiocytic infiltrate. This is located in the upper part of the dermis and presents focal edema. Hallopeau syndrome can be very resistant to treatments, when it reaches the chronic phase. So far, no drug has been designed that is successful in achieving lasting remission. In fact, the cases are so rare that there are not even clear therapeutic guidelines. Typically, the disease appears to the original area for several years. However, it is also usual to progress to nearby areas. In extremely rare cases, the problem becomes widespread and affects the mucous membranes. Exceptionally, patients report cases of spontaneous improvement. But the common thing is that several episodes of exacerbation occur, in which the lesions increase without apparent cause. It is a chronic and recalcitrant disease. Don’t forget to SHARE the Hallopeau syndrome symptoms with your friends and family on your social networks!